This chair by Studio Aisslinger was made with a needle felted non-woven bast fiber mat that was impregnated with Acrodur resin from BASF. This design is pushing the limits of the mind’s imagination as to what is possible using natural fiber composites. FlexForm Technology produces an identical type of mat. We would be excited to talk to any designers who have the vision to take this potential and turn it into something ground-breaking. Composites World published a helpful article in January of this year titled “The Fiber” In it, they detail various attributes of any fiber that you could choose to make up your composite. They include a nice section about Natural Fibers, detailing the reasons why they could be the best choice for a particular application. “Natural fibers — abaca, coconut, flax, hemp, jute, kenaf and sisal are the most common — are derived from the bast or outer stem of certain plants. Natural fibers are enjoying increased use because of their “green” attributes (less energy to produce), light weight, recyclability, good insulation properties and carbon dioxide neutrality (when burned, natural fibers give off no more carbon dioxide than was consumed to grow the source plant). They also have the lowest density of any structural fiber but possess sufficient stiffness and strength for some applications. 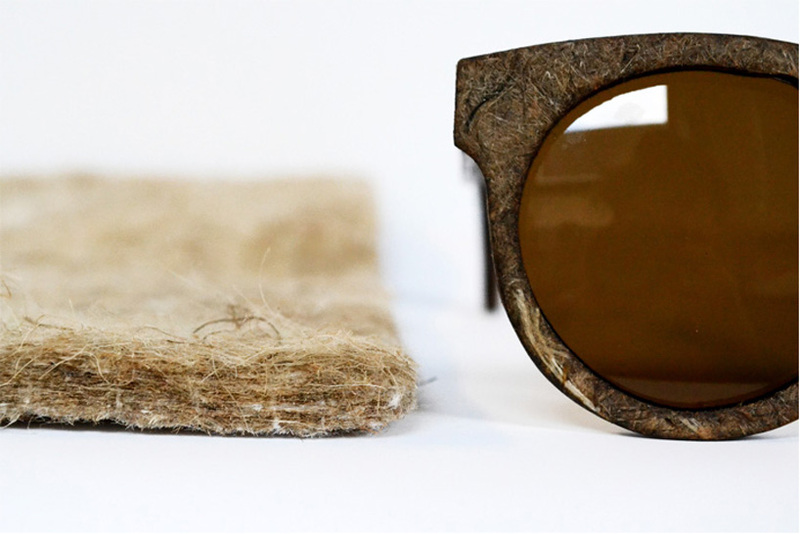 The blog Design Boom has reported that hemp sunglasses from designer Sam Whitten are available for pre-order. The original story is found here. 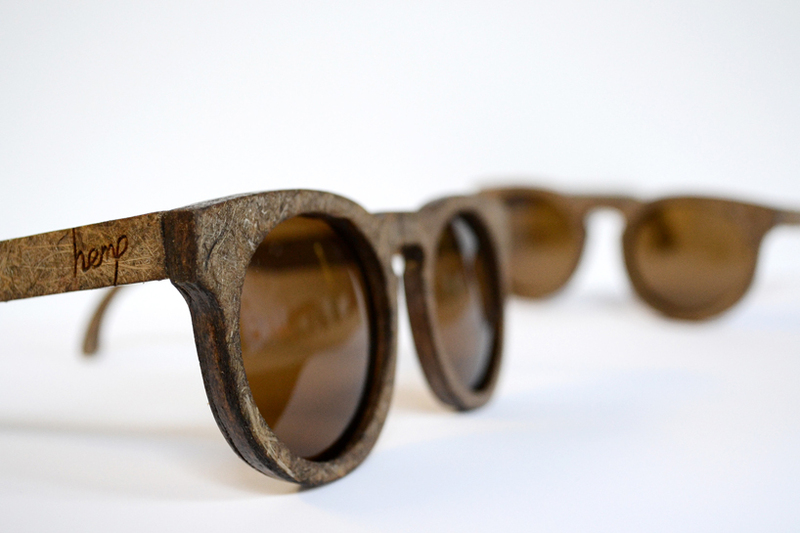 Sam Whitten’s company is called Hemp Eyewear. Images from here. coated with an eco friendly bio resin to add extra waterproof and strength properties. To pre-order a pair, see here. We were very honored to sponsor a scholarship competition for the Industrial Design Department at the Rhode Island School of Design. We are in the process of compiling the images that we got of the winners. Here is a sneak peak of one of the students, Patricia Dranoff’s designs. Please click through the link to have the video pop out. Bonamici and Massie Hemp Amendments Pass the U.S. House. Bonamici and Massie Hemp Amendments Pass the U.S. House! FlexForm Technologies recently received an update from Vote Hemp on the ongoing efforts to allow US farmers to cultivate and sell industrial hemp. The following copy is taken directly from the letter. “Last night was a good night for industrial hemp policy. Two of our strong supporters in Congress offered amendments to the bill that funds the DEA and Justice Department and both of them passed with a strong bi-partisan majority! The Bonamici amendment passed 237-170 and the Massie amendment passed 246-163. We want to thank the sponsors, cosponsors and all of the members who voted to support these amendments. We also want to thank all of you for calling and sending letters because you made the difference! The Bonamici amendment states “None of the funds made available in this Act to the Department of Justice may be used to prevent a State from implementing its own State laws that authorize the use, distribution, possession, or cultivation of industrial hemp, as defined in section 7606 of the Agricultural Act of 2014.” This essentially tells the DEA and Department of Justice that they can’t spend any money from their budget to prevent states from implementing their state hemp laws. The Massie amendment focuses on limiting the use of funds to block the implementation of Section 7606 of the Farm Bill. The Massie amendment states “None of the funds made available by this Act may be used in contravention of section 7606 of the Agricultural Act of 2014, entitled “Legitimacy of Industrial Hemp Research” (Pub. L. No. 113-79) by the Department of Justice or the Drug Enforcement Administration.” This keeps the DEA from spending any funds on efforts to interfere with states implementing hemp research authorized in the Farm Bill. The renewable energy market may become a new one for natural fiber. 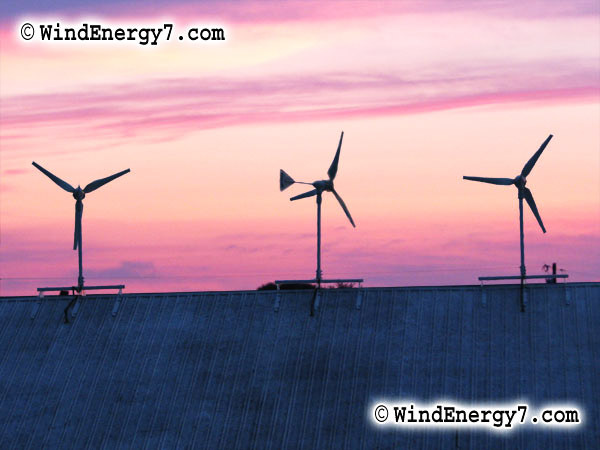 There has been a recent success story of using flax fiber in creating the turbine blades for wind-turbines. 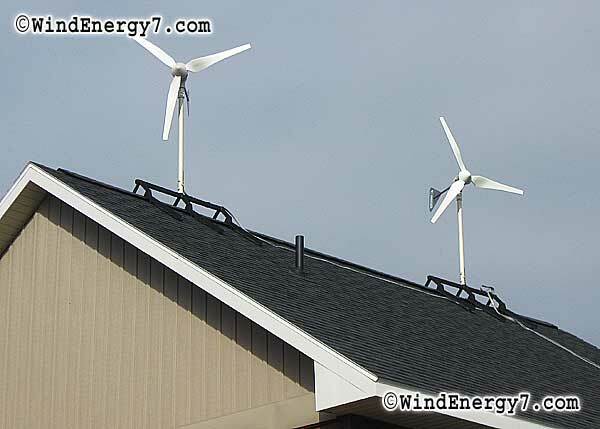 Specifically a roof-top turbine was created using blades made from natural fiber. In February 2014 this story was announced via Composites Evolution‘s website. From their site: “Biotex Flax has been used to manufacture natural fibre reinforced blades for a rooftop wind turbine at the University of Stuttgart. The blades were conceived, designed and manufactured by the SWE (Endowed Chair of Wind Energy) at the University, the team having found that Biotex Flax reinforcement’s unique twistless technology gave them the performance characteristics that they were looking for. Along with a range of other materials, the fibres were tested with different resins to validate their performance characteristics. SWE found that Composites Evolution’s Biotex Flax correlated best with the performance they expected and it felt they had a good data basis to make a lightweight and stiff natural fibre blade. The blade, consisting of Biotex Flax 2×2 twill 400gsm as the main shell and Biotex Flax unidirectional 275gsm used for the blade’s belt and root, was built in two halves. Both were hand-laminated and then vacuum-bagged in two female moulds. The two separate halves were then joined using Momentive’s RIM 235 epoxy resin. Canadian farmers harvested a record breaking tonnage of industrial hemp last year. Every day more states in the US are passing farm bills that legalize the cultivation of industrial hemp. This is exciting news for FlexForm Technologies, but we cannot use raw fiber straight from the field. If we are going to take advantage of native fiber, we need processing facilities to be built and start processing the fiber into a usable form for our machinary. A recent post on the blog of Alberta Innovates: Technology Futures entitled “Hemp Processing Plants Planned For Alberta” has identified two possible hemp processing plants being planned for construction in the next few years. The websites The Western Producer and Leaf Science both report the same information. This is welcome news. Alberta is a great spot for processing plants to be established, as it is already legal to grow the industrial hemp there. Also, Alberta Innovates: Technology Futures provides scientific and development expertise to assist the processing companies to be successful. “Cylab International plans to move its operations from China to an undetermined location in southern Alberta. “It’s definitely going ahead,” said Cylab chief executive officer Brett Boag Jan. 17. “Mike Duckett of Stemia said its proposed $32 million plant is probable but not yet confirmed, and he expects to know more in two to three months. FlexForm Technologies has been heavily involved in development of a new product that takes our FlexForm MT (non-woven mat) and adds Acrodur resin. The resulting product is a great fit for certain applications in Automotive, Office Furniture, Construction, etc. From BASF’s website: “Acrodur is a green, zero-emission acrylic thermoset resin for fibers and particles. ..This high-performance, lightweight, cost-effective and green composite saves costs and significantly reduces volatile organic compound (VOC) emissions. As a formaldehyde-free binder with all its properties and advantages, Acrodur is an ideal thermoset material for demanding and emissions-critical processing and applications, whether in abrasive nonwovens for household and industrial purposes or nonwovens for automotive and filter applications.” BASF has also provided this handy Frequently Asked Questions link, which can be found here. You will see a range of questions and responses, such as “What is Acrodur? or “What is Green About It?”. This is a great place to start learning about this resin in laymen terms. And, of course you can always learn more about our natural fiber composites at our website. But, why are the two technologies-one resin and one natural fiber composites-so well suited to each other? There was an interesting article in Composites World in 2010. “Interior Innovation: The Value Proposition” stated that “Acrodur starts out as a solution polymer (dispersed in water) that is said to have an extreme affinity for binding with fibrous or particulate reinforcements because of its very low viscosity and its chemistry, which forms both mechanical and chemical bonds to reinforcements. It’s especially synergistic when paired with natural fibers because the resin not only coats but also penetrates the fiber shaft. ” For this reason, we have been pursuing development of a product using FlexForm MT (non-woven mat) and the Acrodur resin. As I mentioned above, this technology goes beyond the automotive industry. Seth Stem, professor at Rhode Island School of design has created a chair for outdoor seating using natural fiber composites from FlexForm Technologies and Acrodur resin. This is a great example of where wonderful design meets innovative technology. We are excited to be involved in this new technology and we can’t wait to see it adopted more widely in industry. Where are natural fiber composites used in automobiles? Starting with a bast fiber and polymer fiber binder, FlexForm technologies creates a natural fiber composite mat. We supply this mat to a company that will mold the mat and assemble the additional components to make a finished piece for use in the finished automobile. Natural fiber composites have a long history of being used as an alternative to fiberglass, injection molded plastic and other less sustainable technologies. The parts vary greatly, and can make up content in a large variety of locations in vehicle. The picture below shows this range. Kenaf is a readily available natural fiber that can be used in our processing equipment. From the website Agricultural Marketing Resource Center, “Kenaf is a warm season annual that offers potential as a commercial fiber crop. It is related to cotton, okra and hibiscus and reaches heights ranging from 8 to 20 feet. A native of Africa, the crop is adapted to much of the southern United States and parts of California. USDA does not keep statistics on kenaf. Leaders in world kenaf production are India and China. Kenaf (Hibiscus canabinus) is planted using a modified row-crop planter or grain drill. It matures in about 150 days. It can be harvested using forage coppers and sugarcane harvesters. Fiber yields range from six to 10 tons per acre annually. Two distinctive fibers are harvested from the stalks. One is a jute-like, long bast fiber from the bark. The bast fiber is used to make burlap, carpet padding and pulp. The second fiber is short, spongy core fiber that resembles balsa wood. It is processed into poultry house bedding, oil-absorbent mats and packing materials. © 2013 FlexForm Technologies. All Rights Reserved.